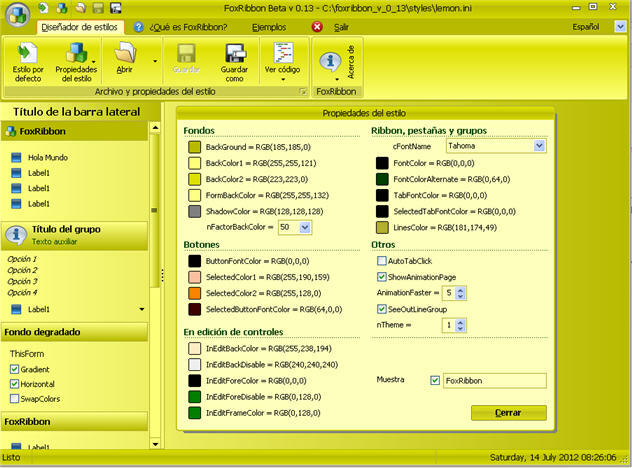 FoxRibbon is a class library VCX 100% Visual FoxPro which offers a number of tools to improve the visual appearance of our applications. 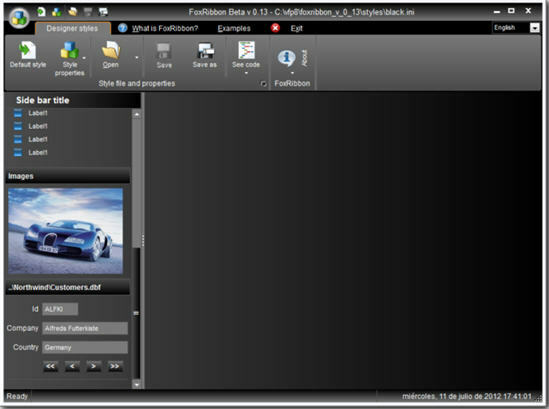 Its use and distribution is free to all Visual FoxPro Community. I have just downloaded the class and immediately I am very very impressed with it. The class while packaged with 10 colors to choose from, is still highly customizable and comes with some more features like a very nice dropdown calendar, messagebox, progressbar, etc. For those of you who don't know it yet, Guillermo Carrero is the co-developer of the also famous FoxBarcode alongwith Luis Maria Guayan. Thank's for sharing that. Looks very cool! Good information about visual foxpro interfaces classes.